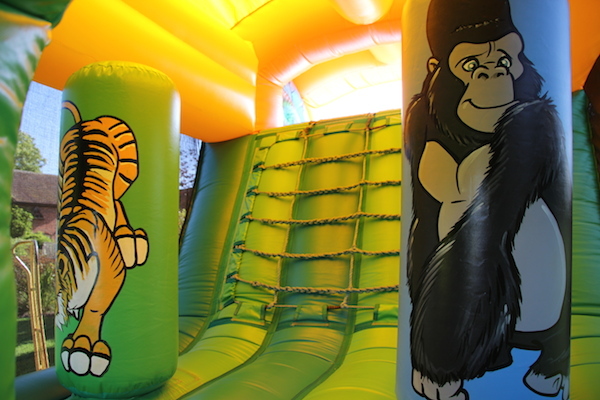 Who’s the ‘King of the Jungle’ – the Jungle VIP? 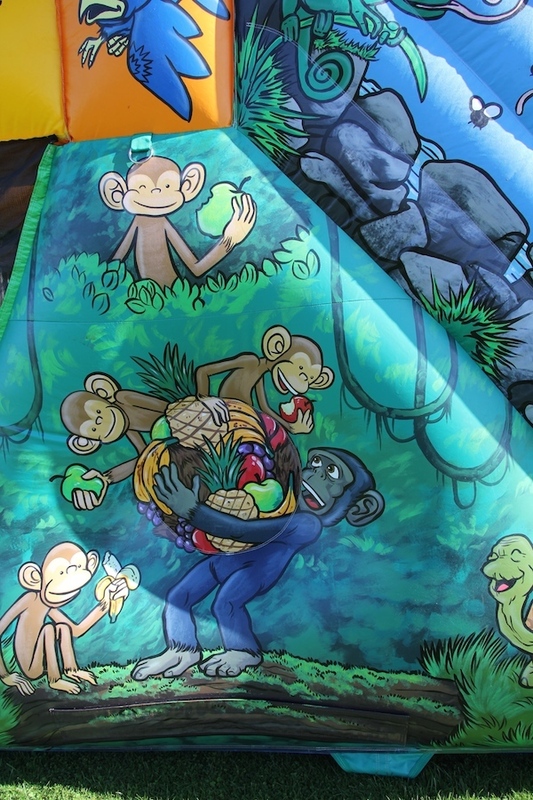 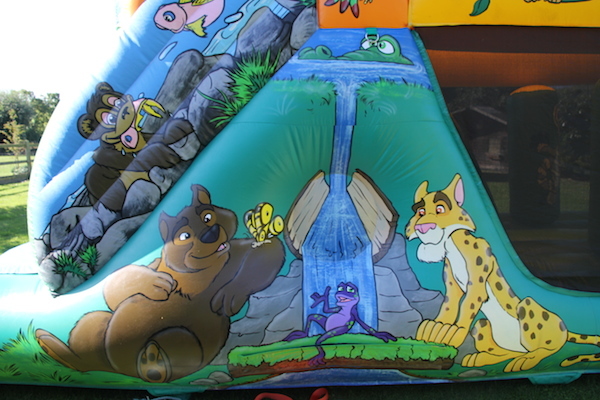 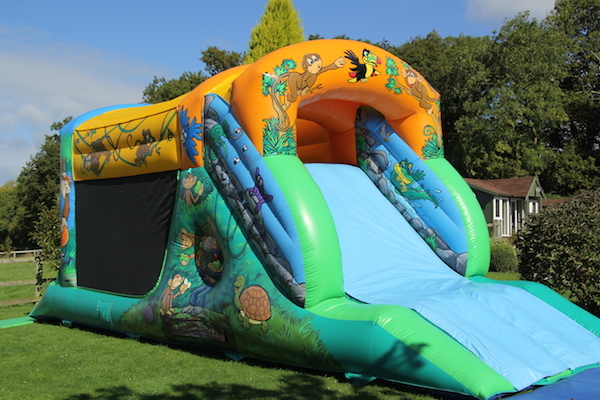 This fantastic fun run is beautifully hand painted in a bright jungle theme inside and out. 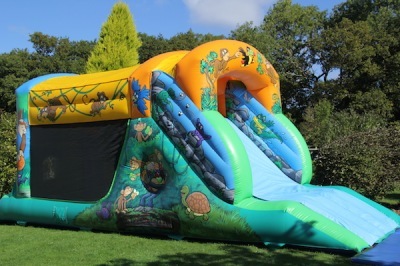 It won’t be a case of ‘Get Me Out Of Here’ as children just love the excitement and challenge of this spectacular inflatable and it will be a real centrepiece at any birthday party or celebration. 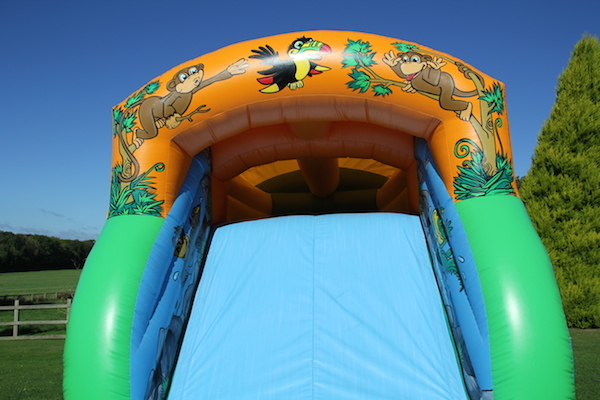 Jungle Fun Run has a good sized bounce area with super biff and bash wobblers, a cargo climb plus a fast finale slide. 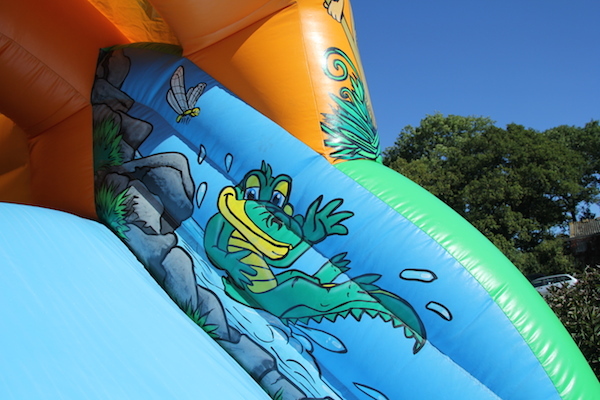 It is exciting, exhausting, great fun and will keep the children entertained for hours. 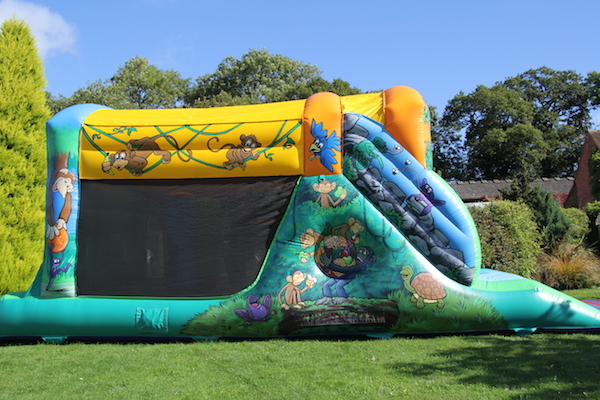 This inflatable is suitable for indoor (subject to ceiling height) and outdoor hire. 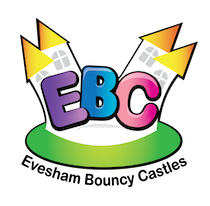 Don’t forget you will also have the free use of Plasma Cars for all indoor hall bookings. We can offer this really impressive fun run in Evesham and throughout Worcestershire, Herefordshire, Gloucestershire, Warwickshire and The Midlands. 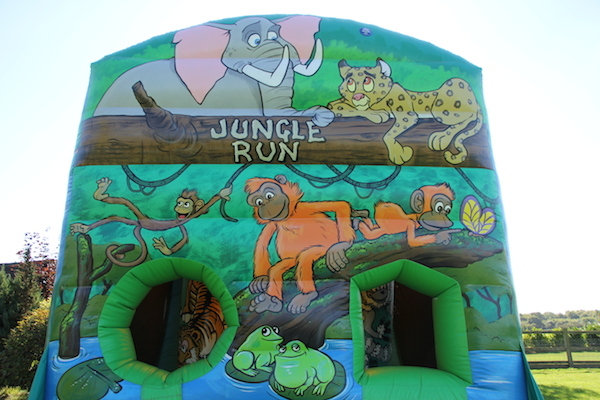 Jungle Fun Run is available to hire for birthday parties, school fetes and family fun days.